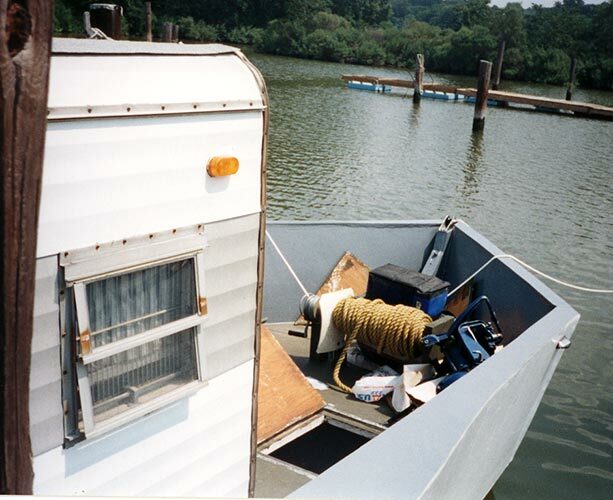 Bob Bramble wanted to design a boat that would hold his one-man trailer and was able to launch 27'4" ONE COAT BRAMBLE in July of 2002 at Aqualand Marina in Maryland. Bob built the backbone of oak and Douglas fir. The frames are also oak and Douglas fir. 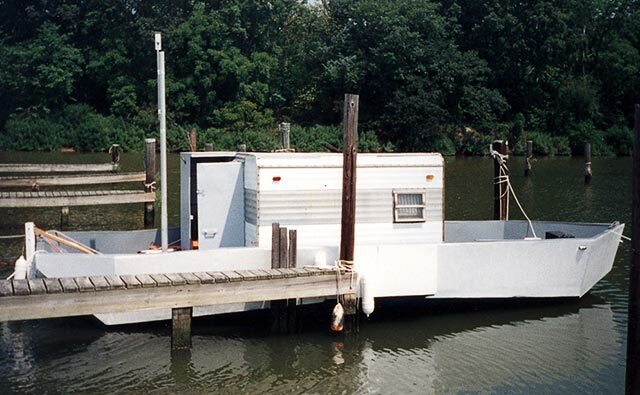 The hull is marine plywood covered with cloth and resin. Launching created a bit of excitement when two small leaks let in a foot of water in under an hour, but Bob was able to correct the problem with a little help from his friends at the Marina. 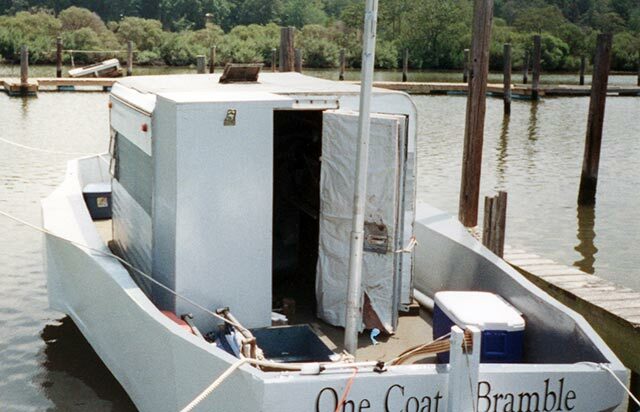 He has not finished ONE COAT BRAMBLE yet, hoping to equip her for sail in the near future.